The Greater Manchester Police comms chief tells Cathy Bussey what inspired her to post the police force's work on Twitter. If you were asked to name an organisation you associate with progressive and trailblazing use of social media, the chances are Greater Manchester Police (GMP) would not have been top of the list. This all changed on 14 October, when the force made history, headlines and some controversy across the country by Tweeting every call it received over a 24-hour period. The aim of the initiative was to raise awareness of the diverse nature of modern policing, ahead of the age of austerity into which George Osborne has plunged the public sector. Coleman, 39, is open, matter-of-fact and unperturbed by her situation. Many in the public sector will empathise. Now is not the time to make it personal. 'We have been preparing for some time,' Coleman says of the inevitable cuts heading GMP's way. 'The support element - the back office staff - have been working up various proposals for how we can make savings.' Changes should begin to be put into place in the next few weeks. 'They are doing it on a priority basis - working out what is most important.' As Coleman acknowledges, 'the world has moved on'. The nature of modern policing is undeniably worlds apart from the traditional 'bobbies on the beat' model of uniformed officers spending their time nicking criminals. Arguably the most dramatic impact of the 24-hour Twitter experiment was to show the range and volume of calls a modern police force receives. And they are certainly not all about major crimes. Calls ranged from a woman reporting that a man had shouted 'you're gorgeous' at her, to a drunk collapsing in public toilets. In fact, barring a negative article in the Daily Mail, the response to the experiment was overwhelmingly positive. The three Twitter feeds used for the 24-hour period attracted about 17,000 followers, including celebrities such as Dara O'Briain and Graham Linehan. The force also attracted perhaps the ultimate recognition - a spoofer, who set up a comical account mimicking the GMP feeds and began Tweeting fictional calls. The experiment has established GMP as a comms force to be reckoned with. 'To be at the forefront, working in the public sector and in what is seen to be a very traditional service, makes us all feel even more proud,' says Coleman. The obvious question is, what next? Coleman is acutely aware of this dilemma: 'Where do we go from here? It won't be to do the same thing, it will be taking it forward - so there is pressure. And we need to have a reason for it, and get the outcomes that matter to the force.' But with forward-thinking Fahy at the helm, and Coleman heading up comms, the force certainly has more subtle tools than before. Being given the chance to manage the press office at Merseyside Police after just three months as a press officer. I got a taste for managing the team as well as being part of it. It allowed me to shape communication. 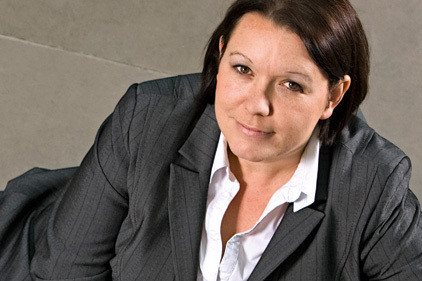 The biggest influence has been Sue Fox, now director of comms at the Information Commissioner's Office. She was my boss at the Environment Agency North West and her professionalism, knowledge and positivity have been something I aspire to replicate. I have worked with her in recent years when she reviewed my comms structures. Know what you want and then work hard taking small steps to make sure you get there. Never lose sight of what you want to achieve. Be aware of the impact you have. And value those you work with because they can make or break you. A desire to make a difference and a passion for comms. They need to have a willingness to muck in. Above all they must have resilience.